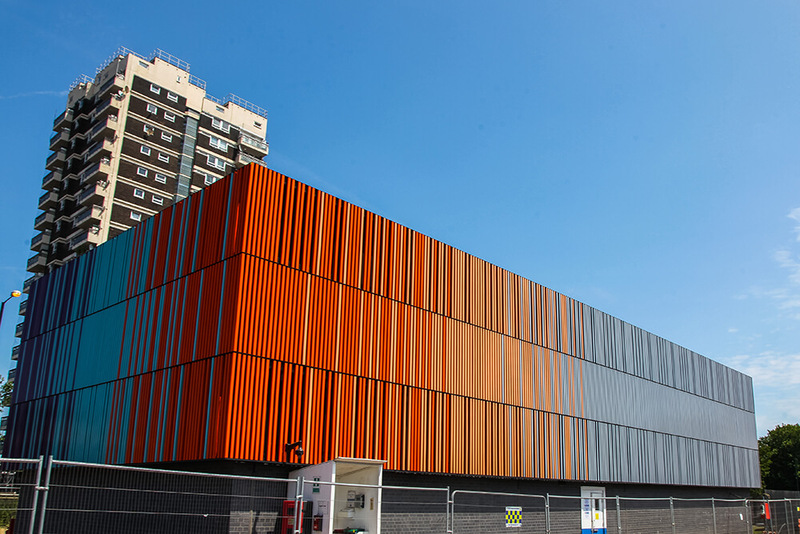 The Woolwich Portal Crossrail project comprised of a selection of multi coloured Terracotta baguettes fixed to form a graduated colour scheme across the various facades. 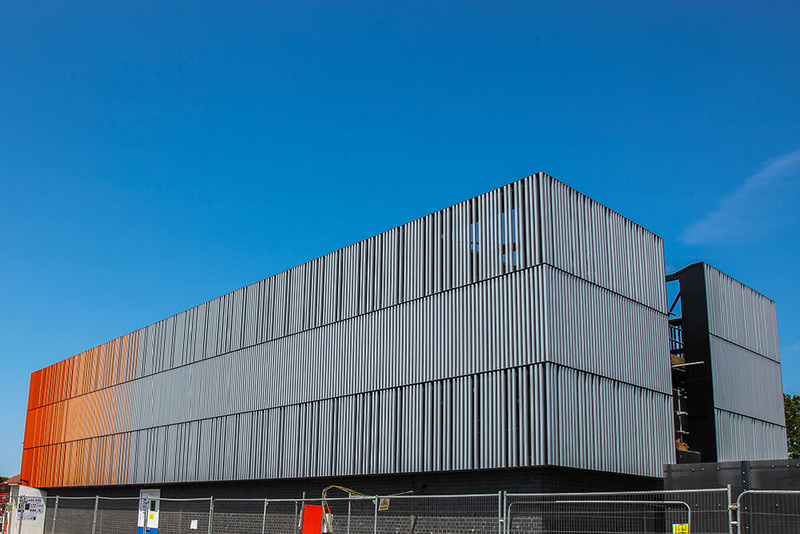 The project required the development of a bespoke PPC aluminium support system to realise the architect’s vision for the panelised pattern and construction required. 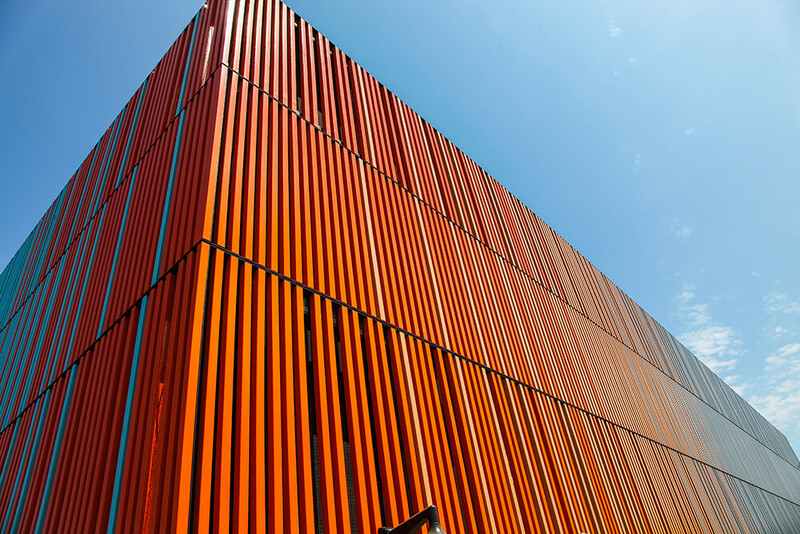 This not only enabled each of the panels to be assembled on the ground prior to being raised and installed but also enabled all of the individual panels across the three tiers to be independently removable. 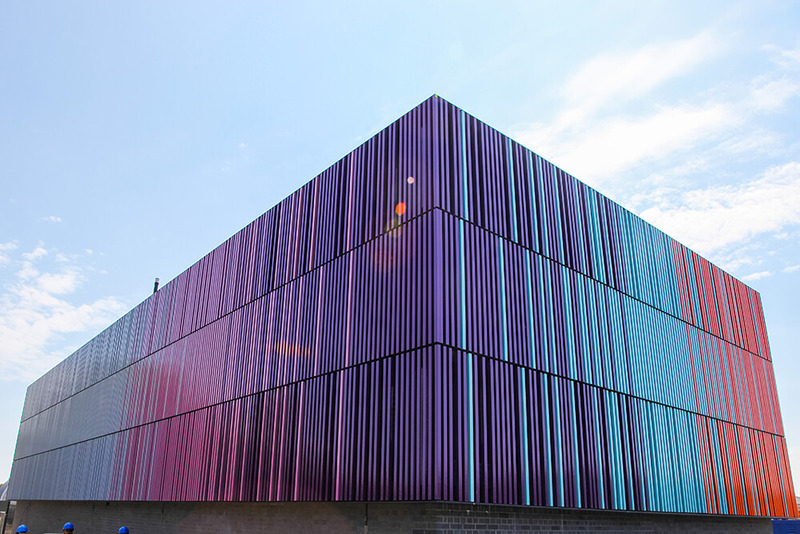 There was an Installation of Trespa Cladding alongside CA Systems, PPC Aluminium rainscreen (bespoke & prime), support work and closure flashings.